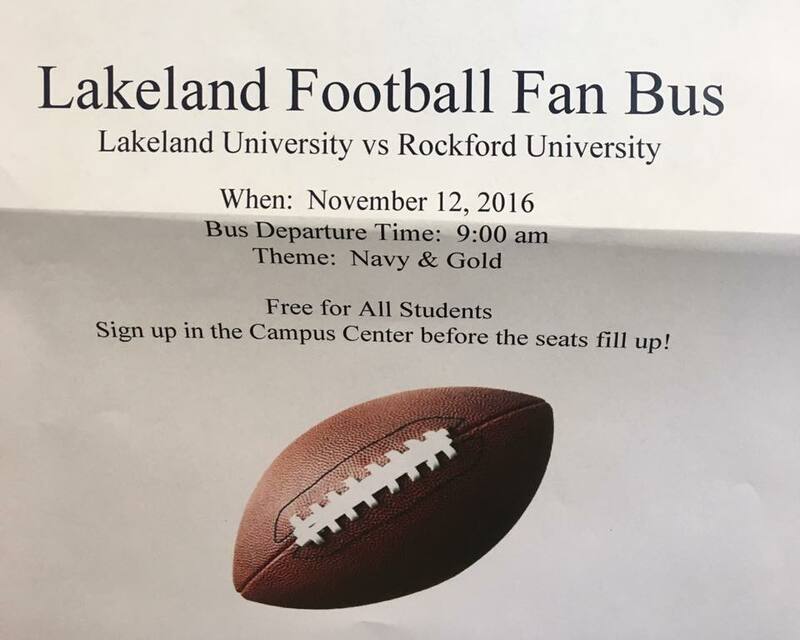 There will be a fan bus hosted by the Pi Kappa Gamma sorority on Saturday, Nov. 12 for the football game at Rockford University. The bus will be leaving at 9 a.m. with a noon kickoff. The bus will be free for all students, faculty and staff. The sign up sheet is at the information desk in the Campus Center. Reserve a spot as soon as possible to make sure you get a seat before it is full. Dress in your Lakeland gear as the theme is navy and gold. Go Muskies!